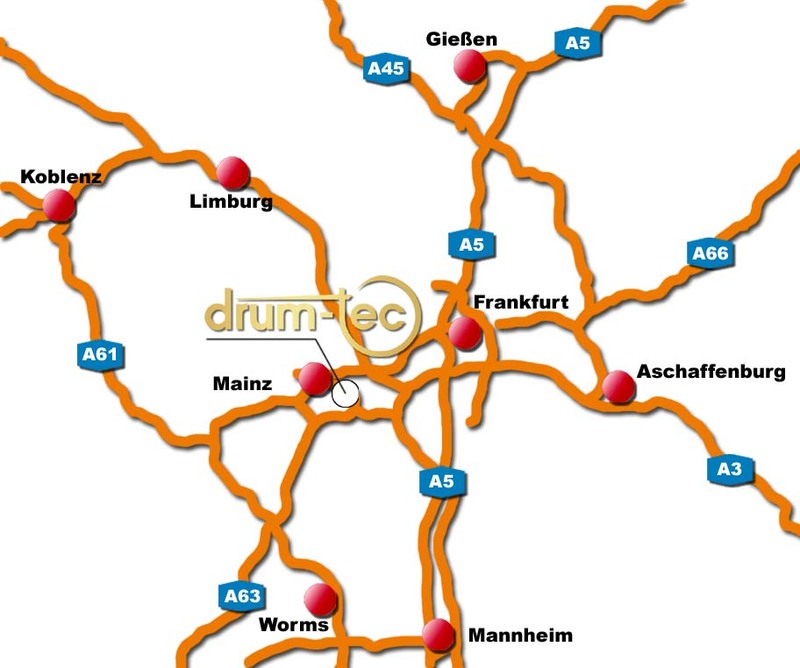 Here's how you will find drum-tec West! 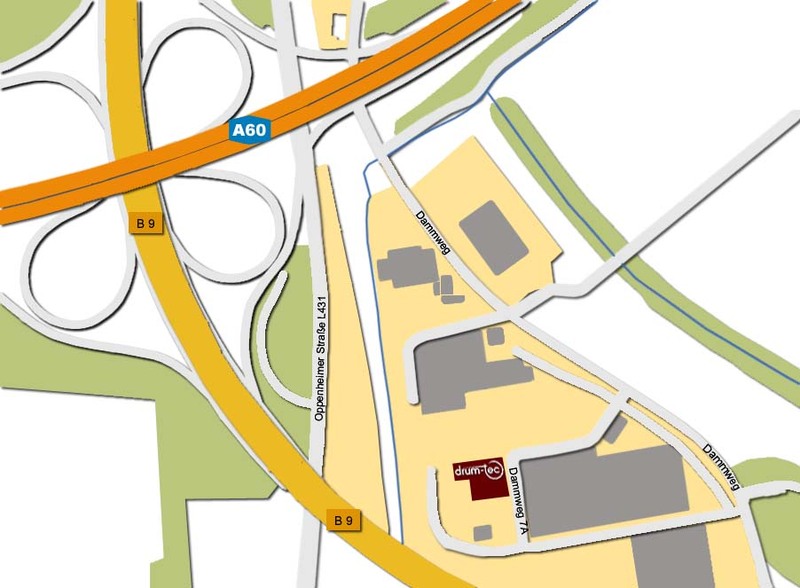 Leave A60 at exit "B9 Oppenheim/Nierstein/Mainz-Laubenheim" and follow B9 about 1km until exit "Mainz-Laubenheim". Leave B9 there. At the intersection turn right and follow the street a few hundred meters into the "Dammweg". You will see a big sign "Dammweg 7A" as well as our drum-tec logo soon on the left side. Turn left there and follow the little road a few hundred meters past Dammweg no.7 until you see the big building no. 7A. Park your car nearby and follow the "drum-tec // Spytunes" signs to our door. Welcome!